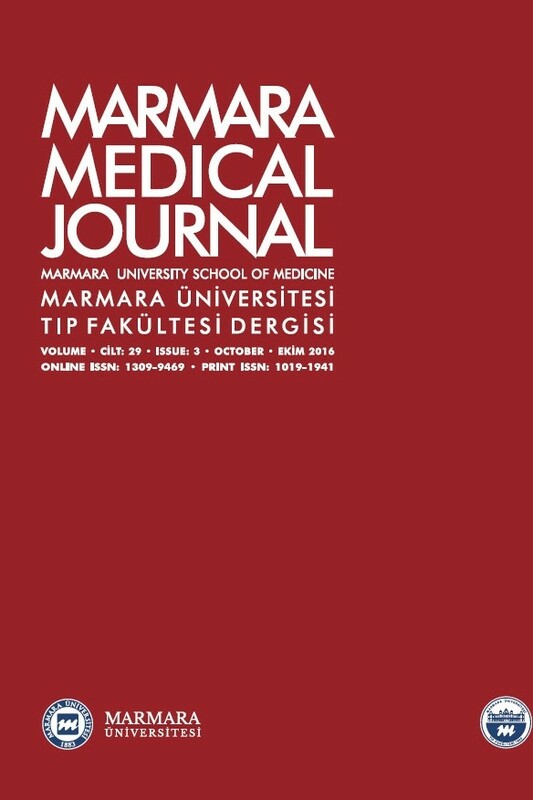 The Marmara Medical Journal is a multidisciplinary, academic publication of Marmara University, School of Medicine. It is an open access, double blind papers of general interest relating to advances in medical practice and novel treatments that will be of interest to general practitioners, medical students, and senior practitioners and specialists. We especially welcome papers on Public Health and Medical Education. MMJ also aims to publish all types of research conducted by medical students. It includes original research papers, case reports, reviews, articles about clinical and practical applications an editorials, short reports, letters to the editor and occasionally a photo-quiz. MMJ also aims to publish all types of research conducted by medical students. It includes original research papers, case reports, reviews, articles about clinical and practical applications an editorials, short reports, letters to the editor and occasionally a photo-quiz.